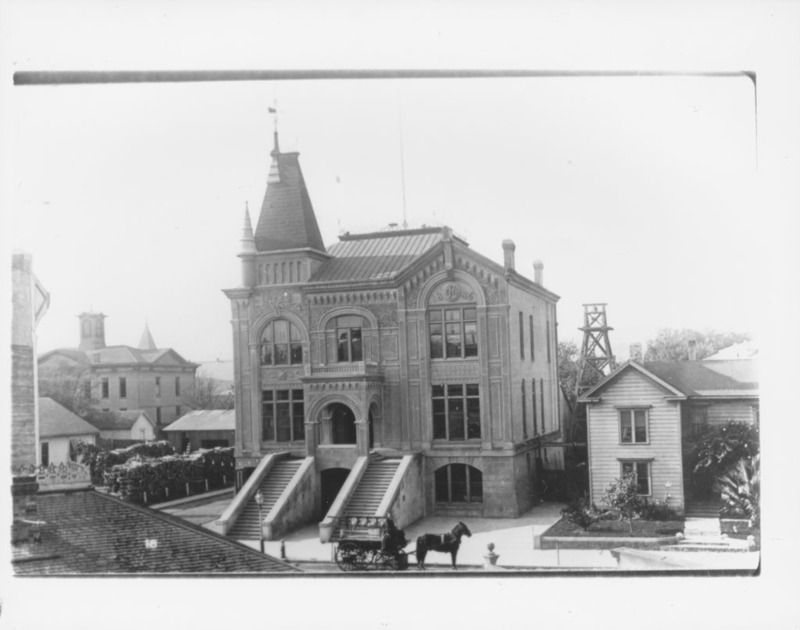 His funeral procession was led by cart pulled by his faithful partner and horse Black Bart as shown in the historical archives of Sonoma County which would be his last duty to drive his masters funeral cart. Motts cap and coat were placed in the driver’s seat. Not a bell was tolled for fear it would alarm and demoralize the other firefighters in the hospital who weren’t yet told of his death. After the ceremony he was retired to stud as the fire department moved into the modern mechanized era. His name is etched in the wall at the California Firefighters Memorial in Sacramento. 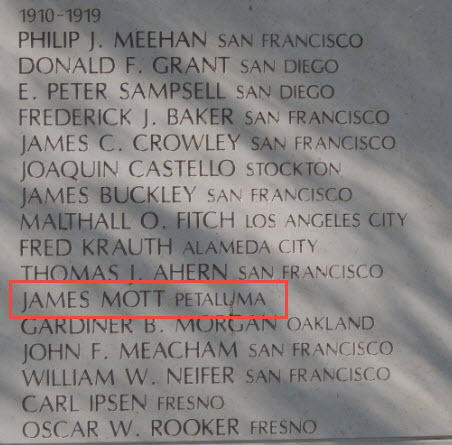 Tony Descalso, a retired firefighter in Sacramento, provided Positively Petaluma with the photo of James Mott’s name on this memorial. Firefighter Mott will always be remembered as a man of honor and a community hero. It’s also worth mentioning that it is good news that we have not lost another firefighter in the line of duty. A record we would like to sustain indefinitely.